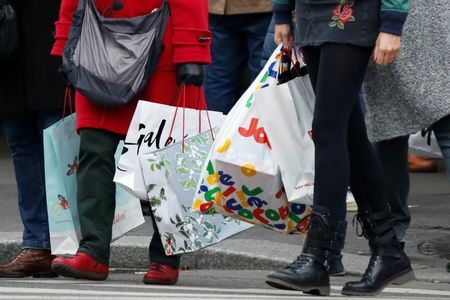 - Activity in the U.S. economy’s service sector slowed to a five-month low in January, according to a report released on Tuesday, as worry over the impact of the government shutdown weighed on businesses. The Institute of Supply Management said its non-manufacturing purchasing managers’ index fell to 56.7 from 58.0 in December, which was revised up from an initial reading of 57.6. “The non-manufacturing sector’s growth rate cooled off in January. Respondents are concerned about the impacts of the government shutdown but remain mostly optimistic about overall business conditions,” said Anthony Nieves, chair of the ISM survey committee. A similar survey of the manufacturing sector released on Friday showed that U.S. factory activity was higher than expected. A reading above 50 for the index indicates expansion in the sector, and a reading below signals contraction. Among the sub-indices, the non-manufacturing business activity index decreased to 59.7 last month, from 61.2 in December. The new orders index, the most forward-looking element of the survey, fell to 57.7 from 62.7 the previous month, the lowest level since August 2018. Export orders fell to 50.5 from 59.5, the worst reading in two years, suggesting a slowdown abroad. The employment index rose to 57.8 from 56.6 previously, while the prices index jumped to 59.4 from 58.0 in December.